You heard it right… Director Pandiraj’s Pasanga 2 (Haiku) Film’s official teaser is released. The teaser resembles the class film “Thaare Sameen Par” in new level. Just watch the teaser and have you say. Suriya and Amala Paul will be playing some key roles in the film as like guest roles. 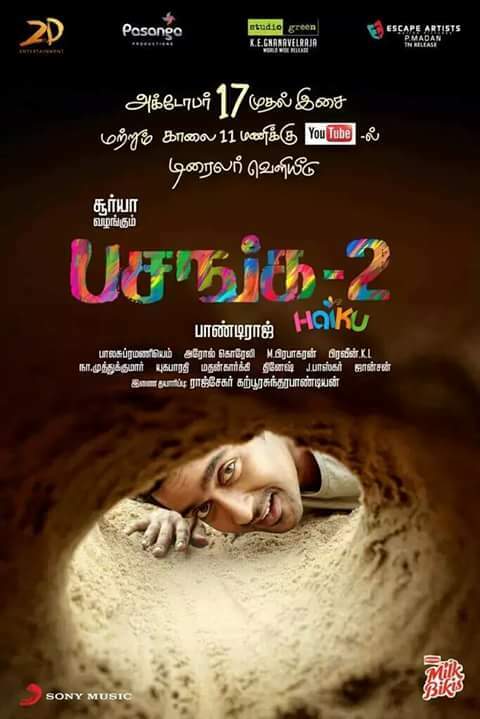 Pasanga 2 is basically a film which is about the childrens and the obstacles faced by them even in the small age. The film will tell you a class story as exactly like “Thaare Sameen Par” and some class act will be on. Wait for it… A much awaited film will hit the theatres soon, and I assure you, everyone will love watching this film, with those child’s life and you will be emotionally involved too. Watch the teaser and Don’t forget to drop your comments about the film here. ;) Any Requests ? Have Any suggestions? Just comment or mail us via “Contact Us”..